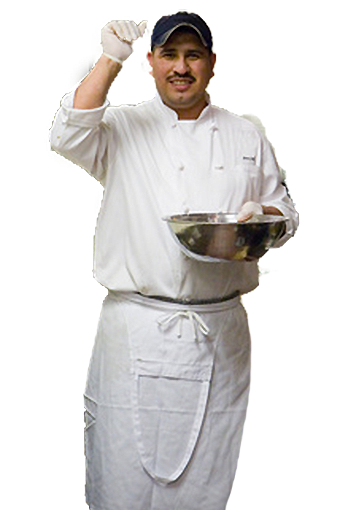 A California Food Handler Card is required for food handlers working in California. A valid Certificate issued by an ANSI accredited training provider is considered a permit or license to handle food in California. Certificates issued by eFoodhandlers® are valid in all California counties except Riverside, San Bernardino, but APPROVED in San Diego County. Step 1. Make sure you need a California Food Handler card. Not every food worker is required under California Law. If you have questions, ask your employer or your local county health official. California Food Handlers Certificates are not valid in Riverside, San Bernardino, but approved in San Diego County. If you live in those counties, refer to their website for specific instructions. Step 2. Get the right training. Make sure you do not need Manager's Food Safety training. If you will be acting as the Person-In-Charge, you may need a more extensive course. If you have questions, ask your employer or your local county health official. Step 3. How to find an ANSI approved online training provider. ANSI accreditation is a requirement under California law. ANSI providers will have a visible logo with an issue number on their website. Do I have to take the course all at once, or can I study at my own pace? Yes, eFoodhandlers has two courses. A interactive, multi-media course and a text-based course that allows you read through materials at your own pace. The text-based course is also appropriate for those who require special translation tools. You have 90 days to complete the course once you start. Generally around an hour to hour and a half depending on the course and your comfort with the materials. You can take the exam as many time as required. However, after 2 fails, you must retake the course. There is not an extra charge for retaking the course. How long is my California Food Handlers Card valid? It is valid for 3 years. At the end of that period, you will need to retake the course and pass the exam. eFoodhandlers makes that process simple and straightforward. Is Free Food Handlers training available to those in need? Yes. Contact CustomerService@efoodhandlers.com and ask obout our FREE options. 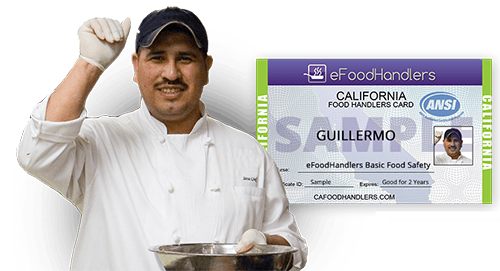 To learn more about the requirements for a California Food Handlers Card, click here.